Carnegie: Magic Detective: The Magic Detective PODCAST Has Arrived!!! The Magic Detective PODCAST Has Arrived!!! I've been sitting on this news for some time, but I can now let the cat out of the bag and tell you that The Magic Detective has been turned into a podcast! (For the few who may not know what a podcast is, it's basically like a special radio show that you can listen to on your computer or smart phone) Truth be told, I have shared the info on several social media sites previously, I just haven't gone into much detail. Episode 1 is an Intro podcast. I give you a little taste of what to expect. The first segment of The Magic History Minute is on there, as is the Feature segment, which deals with Houdini in Germany. I've decided to refer to all the future Houdini sessions as HOUDINI RADIO. There are a couple plugs and even a mention of two of my favorite websites that are NOT mine. Episode 1 has a run time of 24 minutes, so it's just shy of my 30 minute mark, but that's ok. Episode 2 is also done, but it hasn't been uploaded yet. It will appear on Oct 15th. Basically, every Monday there will be a new podcast....aka Magic Mondays! I plan to move The Magic Detective History Contest over to the podcast, so that means I'll be giving away the occasional prize as well! You may be wondering what will happen to The Magic Detective Blog? Well, it's staying right here, and I'll continue to write articles for the blog as well. I fully expect to point listeners of the podcast over here often so they can see the photos, and read more about the various artists and performers. The two mediums should compliment each other really well. Then there is the third medium, that is video. I intend to bring back The Magic Detective Youtube Show, though that is a bit further down the road. I expect to post the occasional short videos over there however, videos that are supplements to the blog articles or podcast episodes. So eventually, you'll have The Magic Detective Blog, The Magic Detective Podcast, and The Magic Detective Online Show. So now that I've let you know about this new project, you may be wondering what you can do? I NEED You to do is subscribe to the podcast and then listen to the episodes as they debut. 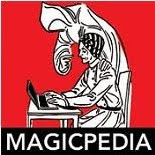 There are many ways to listen to the podcast, if you're on a computer you can listen through the podcast site http://magicdetectivepodcast.com But if you want to subscribe, you can do that through the podcast section of iTunes. 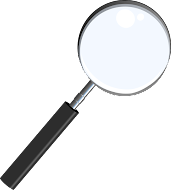 Simply go to iTunes, or click your podcast button on your iPhone, type in Magic Detective in the search area and look for the logo below. Then hit the subscribe button! Episode 1 was released a couple days early because I wanted to be sure that iTunes approved my podcast before Monday. With that done, I'm very excited about all of this, I know you'll really enjoy this unique Magic history podcast! The 2nd episode will air Monday Oct 15th!